Is it really possible? To make money blogging your passions? We see it happen all the time, everywhere. 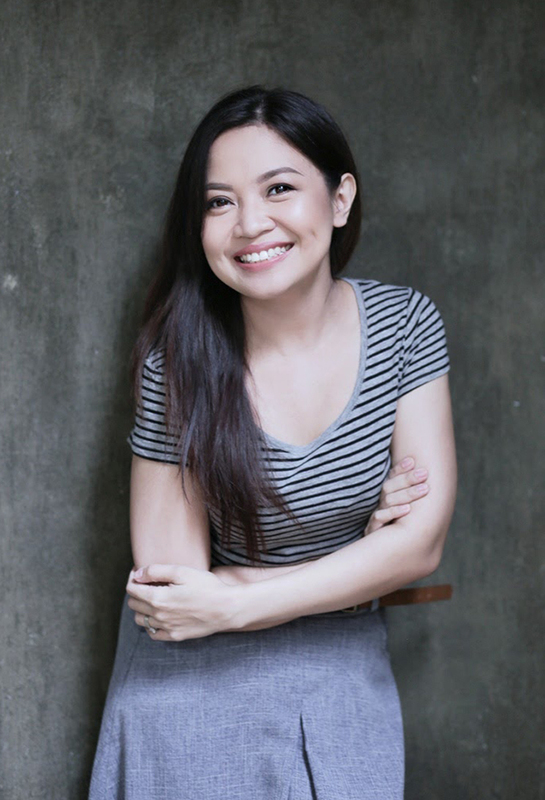 There’s the lifestyle blogger who side-hustled her blog until it grew to a realistic salary. The travel blogger who monetizes his content to fund his passion for traveling. 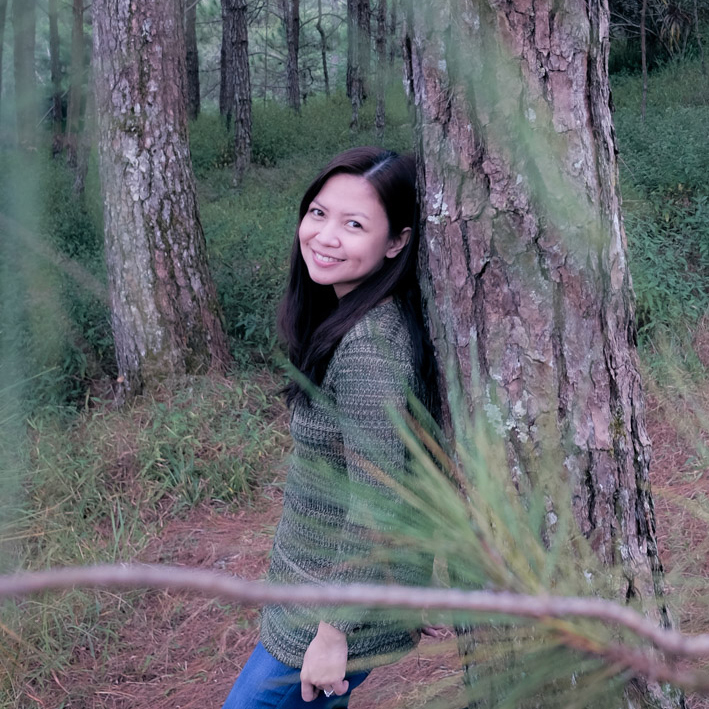 The copywriter who, through blogging part-time, was able to land a book deal. There are some hard truths that come with the job (as with any job), but in my experience, the pros far outweigh the cons. And with a basic knowledge of the tools of the trade and some proven blogging practices, YOU TOO can make a living blogging your passions. For creatives like us, blogging lends itself well to our natural tendency to create and to break free from the norm. The desire to create runs in our blood. There’s this restlessness in us to express ourselves through words and stories and imagery; to figure out ways to bend the rules and to break free from the 9-5. Many of us started blogging for the fun of it, or for the sake of artistry. But any hobby blogger can attest that there comes a point where you have to start monetizing your content. Blogging is hard work, after all. And you just can’t invest hours of your life on a blog and not get paid for all of that effort. To maintain a blog, to have creative freedom, and to keep creating content about topics you’re passionate about, blog monetization is essential. 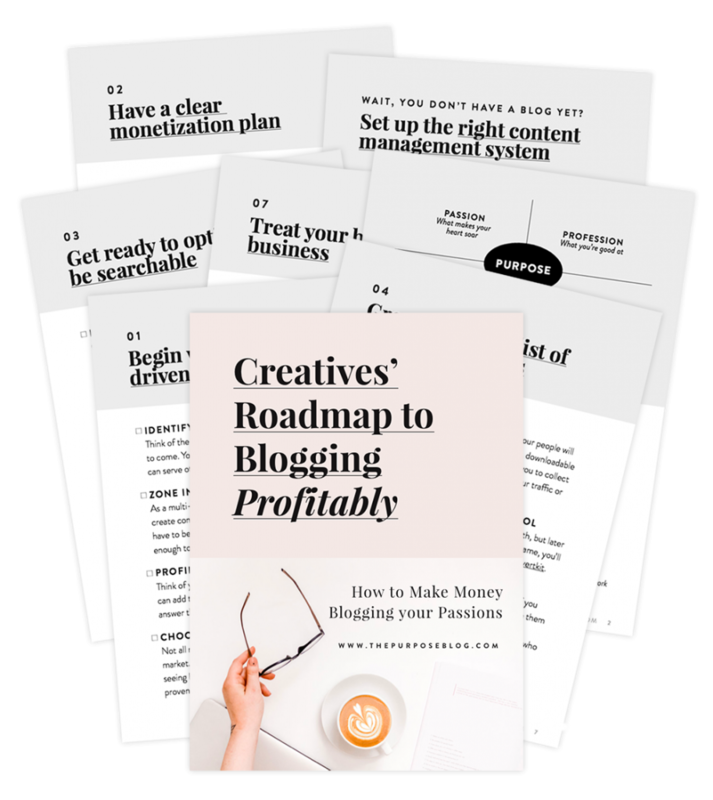 If you’re a new blogger, there’s so much about blog monetization that you’ll learn as you go, but knowing the essential concepts of money-making blogs from the get-go allows you to be more strategic in setting your blog up for success. Ready to learn how to make a living blogging? Let’s go. 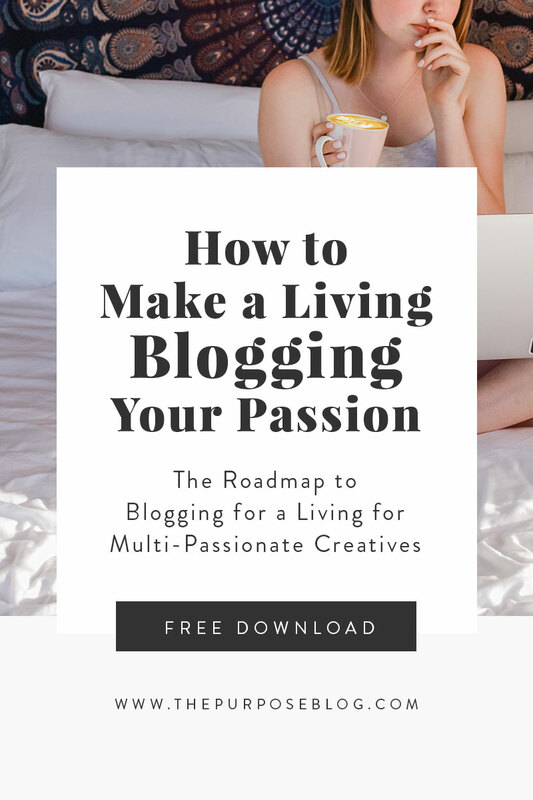 Other bloggers make money blogging about topics they’re not necessarily passionate about but for us creatives, there’s more to creating than just paying the bills. We care about passion and artistry. Think of your blog as something that could potentially be your life’s work, or, the foundation of your life’s work. Think of the topics you won’t get tired of writing about for years to come. Sure, you can start a blog about any trending topic and still make money from it. But since you’re going to invest hours and days of your life into this blog project, you might as well create one that doesn’t only fulfill you financially but also artistically. 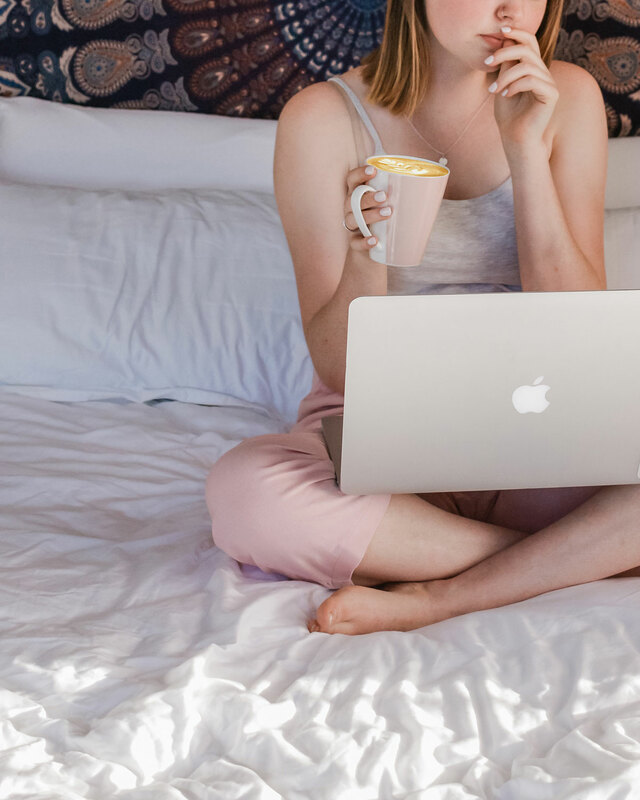 I’m pretty sure that you’re reading this post right now because you genuinely want to know how to make money blogging not just about any topic, but ones you’re truly passionate about. So ask yourself. What are your passions? Books? Travel? Music? Weddings? Interior Design? Motherhood? God? Maybe you’re passionate about a specific gift or skill. Writing? Blogging? Photography? Entrepreneurship? Digital Marketing? Or maybe you’re passionate about a specific worldview or lifestyle. Living a creative life? Pursuing health and wellness as a way of life? Traveling and experiencing cultures? Chasing dreams? Putting God first? Sharing your faith? Start with your passion, and niche down based on what you have ample experience in, what your target reader needs, and how profitable the market is. As a multi-passionate and multi-skilled creative, you want to create content about topics (or combination of topics) you’re naturally good at. You don’t have to be an “expert” at it, you just need an ample amount of experience. It helps build your authority if you have actual experience in these categories. Remember that you’re not just creating content because you like the topic but because you have the knowledge and the confidence to teach, help, and inspire others in that area. This is important when creating purposeful and profitable content. Think of your intended audience and what value your content can add to their life, how you can help them in their challenges, answer their questions, or entertain them. Think also of purchase intent. What would your readers naturally purchase online or willingly invest in? Making money blogging is really all about selling something—your own products, other brands’ products, your services, an idea. Think about this when you’re profiling your target readers because this is where the profit is going to come from. Years ago I used to follow a blog about.. (wait for it) ..nail polish. This blogger’s crazy obsession with nail polish was insane, and I was there not really for the nail polish but for her stories. Every single post in her blog was literally dedicated to bottles of nail polish, nail polish colors, and nail polish accessories she’s currently into. And although her writing was awesome, her passion for nail polish can only bring her blog so far. The blog disappeared off the face of the internet soon enough. That is what happens when your blog doesn’t make a profit. If you’re generating income, then it makes sense to keep going and to scale your effort. But if it’s not paying the bills, it’s easy to set it aside and eventually abandon it in favor of gigs that actually pay the bills. And that is also what happens when you narrow down your niche way beyond necessary. You will eventually run out of ideas for content and the market is likely not big enough to attract actual buyers. When choosing a niche, you want to pick one that you’re particularly passionate about AND broad enough to capture a buying market. Creative bloggers usually choose a combination of the above categories, spinning it off according to their unique experiences, strengths and personality. Pro-tip: Don’t hesitate to choose a seemingly saturated niche. When you see many blogs already existing in a particular niche, it only means that it has an existing market. 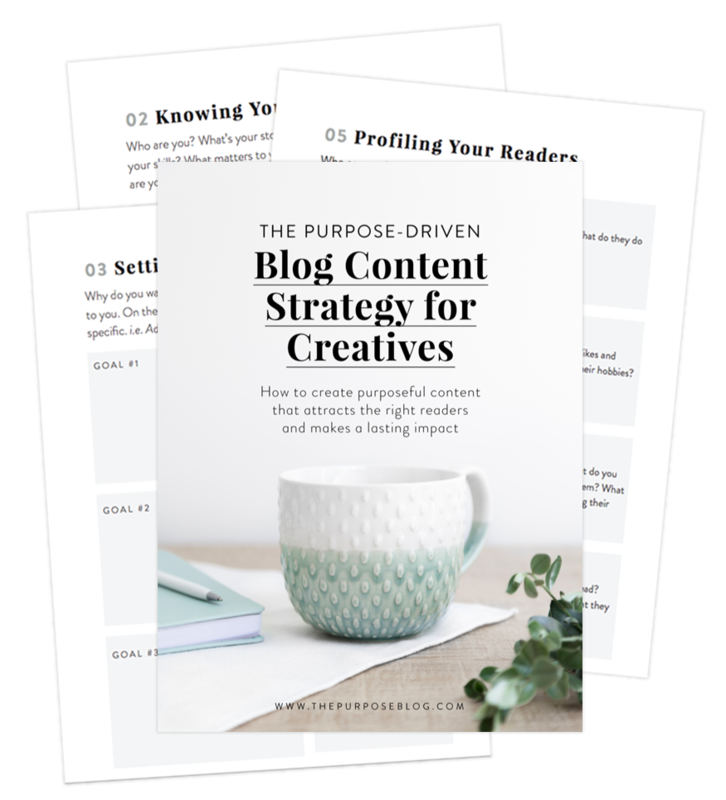 Deep Dive: For more in-depth processing of your blog strategy, use The Purpose Blog’s Blog Content Strategy Workbook for Creatives. If your goal for your blog is to make money, then you have to be willing to invest in your platform to start with. Investing in a domain name and a web hosting provider is imperative. No questions. Don’t sign up for a free blog on Blogspot, Tumblr, or Medium like you’re setting up shop on other people’s backyard. These free blogs are good for trial runs or if you’re unsure about blogging. But if your mind is set, I highly recommend investing in your blog from Day 1. First of all, advertisers and affiliates won’t work with you or accept you in their campaigns if you’re not self-hosted. An efficient and fast loading website is important throughout the process of growing, optimizing, and monetizing a blog. The first year blogging shouldn’t cost you too much. There are so many affordable web hosting providers out in the market but here’s the thing: If you started with the wrong foundation, you might end up spending so much more in the long run. Trust me, I know! The amount of money I spent finding the right web host is insane, it’s not even funny. But now you don’t have to make the same mistake, I already did the legwork for you! Siteground acknowledges this experimental first year that they give as much as 60% OFF in your initial sign up. I cannot recommend these guys enough I wrote an entire blog post gushing about how awesome they are. Read why I highly recommend Siteground over Bluehost, Dreamhost, IM Hosting, Squarespace, and other web hosting providers I’ve tried out over the past 10 years. While Squarespace is becoming a popular contender, most full-time bloggers have their blogs on WordPress for a solid reason. WordPress blogs are easier to optimize for search engines and to customize however way you want to grow your blog. It’s robust, stable, and it quickly adapts to new trends, algorithmic updates, and best practices. I tried out Squarespace for 3 months, migrated all of my content there, only to find myself crawling back to WordPress. I think it’s worth reiterating that professional bloggers and digital marketers recommend WordPress, hands down. There is a one-click WordPress installation feature when you sign up with Siteground. If you can follow instructions and click buttons, setting up your WordPress blog is easy using Siteground’s setup wizard. There are several income streams you can explore to monetize your blog. You don’t want to put all of your eggs in one basket, so to speak. Full-time bloggers increase their income by strategically applying several income streams as their traffic and content grow. There are many ways to make money blogging, but these five income streams specifically make sense for creatives like us. Affiliate marketing is basically promoting other people’s products and earning a commission on each sale. Bloggers simply link to the product using their unique affiliate links and when someone clicks through and makes a purchase, they earn a commission. I love affiliate marketing because it offers opportunities for new bloggers, unlike other blog income streams which requires a specific level of traffic or clout. There are thousands of affiliate programs out there, for all sorts of niche. ShareaSale and Ultimate Bundles are great for creative and lifestyle bloggers, regardless of how long you’ve been blogging. They approve applications almost immediately, even though you’re new to the blogging scene. For this blog, I naturally handpicked affiliate programs that I can recommend to my target readers and my community. Take note that I only affiliate myself with brands and products that I PERSONALLY USE and have therefore tested and proven to work. Siteground — My ultimate favorite, not only because they pay out their affiliate partners generously but, more importantly, because I TRULY BELIEVE that these guys are legit the best web host for bloggers. Shopify — The best e-commerce solutions for online entrepreneurs and bloggers with online shops. I have personally used and loved using Shopify and therefore highly recommend it. Studiopress — One of the earliest proponents of professional blogging, Studiopress offers a wide array of beautiful and premium WordPress themes and solutions for bloggers. Convertkit — A gamechanger for me in terms of growing my email list, and therefore highly recommend if you want to take your list building to the next level. Grammarly — I use this one heavily and on a daily basis, and I believe all bloggers and writers need this too. Shareasale — This network has a variety of merchants for all sorts of niche. Unlike other affiliate networks, Shareasale approves applicants easily even if you’re just a beginner blogger. Other networks require a certain level of traffic and clout, but not Shareasale. Ultimate Bundles — This one approves beginner bloggers too. They provide premium resource bundles for bloggers and creatives and have a huge community of experts to learn from. Book Depository — This is the Amazon for the rest of the world! As awesome as Amazon is, they don’t cater well to countries outside the US and EU. Book Depository, on the other hand, ship books worldwide, for FREE. As much as I want to become an Amazon affiliate in the future, I personally use Book Depository more since I’m based in Asia and it makes more sense to recommend a website I heavily use for myself. Create valuable, evergreen content that links to the affiliate programs you’re part of. Check out my other blog posts to see how I integrate my affiliate links within my content in a very organic way. You don’t want to hard-sell. The key is to create high-quality content that answers questions, provides solutions, and inspires readers, dropping your affiliate links only when it makes sense. If you started your blog with a clearly defined niche and blog topics, choosing affiliate programs and creating content around these programs will also come naturally. Selling digital products is great because they can be easily distributed without the hassles of an inventory, tangible storage spaces, or shipping. With little to no overhead, your main investments in creating digital products are your knowledge and time. The best part? You only have to create them once (and maybe update them periodically) and keep reselling them as long as you want. Some of the highest earning bloggers sell digital products based on the knowledge they’ve gained and the content they’ve built up through the years. But this doesn’t exempt beginner bloggers from selling digital products on their new blogs too. One sample of a digital product I created is The Purposeful Blog Planner. I designed this planner for personal use, mostly because I couldn’t find one that fits my specific requirements and aesthetic. 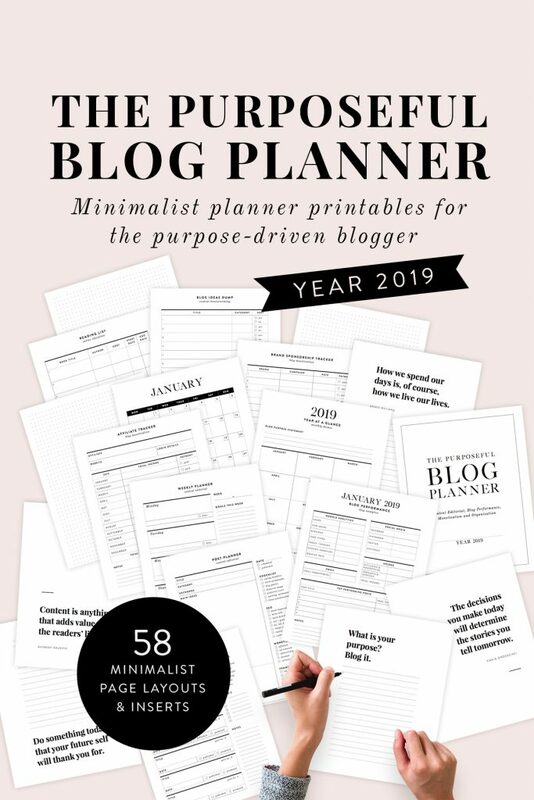 Deciding to sell this planner is a no-brainer for me, knowing that other bloggers will find value in this product too. Ebooks — Self-publishing is becoming increasingly popular for bloggers! Ebooks can be educational resources, self-help books, DIY guides, collections of stories, fiction, non-fiction, etc. Printables — Printables include worksheets, organizational templates, artworks, photos, blog planners, etc. Digital Tools and Apps — Also becoming increasingly popular for lifestyle bloggers and influencers, this includes photo editing tools, Lightroom presets, Photoshop templates, Canva templates, etc. Online Courses — Online education has become a million-dollar industry in itself, and bloggers who love teaching can earn from this stream. Takes a lot longer to create online courses though, so this works really well for advanced bloggers who already have a big following and have mastered specific skills. Create digital products surrounding your blog’s niche and then set up an online shop. WordPress has a built-in e-commerce solution that you can simply install and activate on your WordPress blog. Shopify also is a good platform to sell digital products. Use your blog to publish content that will get people interested in your digital products. Create an MVP (minimum viable product) or a free version of your digital product to give your readers a glimpse of what to expect in the paid version. Use an email lead generation tool like Convertkit to capture email addresses in exchange for the free downloads. This way you can nurture these leads and promote your digital products to them. Brands and PR Companies like partnering with bloggers to create sponsored content for them for two reasons: Exposure (short-term), and SEO (long-term). Blog reviews are great for online reputation and search visibility. When bloggers create content that promotes a brand or product, it doesn’t only increase the brand’s mileage, it likely links back to the brand’s landing page or website too—which is great for search engine visibility. There is no limit to the amount you can earn from sponsored content, depending on how established or popular you are as a blogger. Some brands do ex-deals, where they offer a product or an experience in exchange for a blog post. Ex-deals are good if you’re a new blogger who wants to test the waters first and see how it’s done. My other blog, Chasing Dreams, thrive on 60% sponsored content and 40% affiliate marketing. What I love about this income stream is how I can work with brands that fit my personal values, while creating content that doesn’t take away my own personal brand and my story. This is not always the case for other bloggers, but for me, I made a decision to be very picky with brands which means not saying yes to every invitation. Have a visible and easily accessible contact form on your blog so that brands and PR companies can easily reach out to you. Media Kits are particularly helpful for lifestyle bloggers and influencers. Having a media kit doesn’t only inform brands of your desired fee, it also shows them a level of professionalism. If you’re a beginner blogger and you want to start attracting brand sponsorships, focus on creating good quality content on your first year. Make product reviews, write about your travel experiences, even when you’re not yet being paid to do so. This serves as a sample of your work, which gives brands and PR agencies an idea of your output should they sponsor you. Be present in social media, connect with other bloggers, and attend networking events when you can. Other bloggers proactively approach PR companies and pitch their blogs to gain projects. If this is your thing, you can do this too. Ad networks like Google Adsense and Mediavine are some of the most popular among bloggers. They display ads on their blog pages and get paid when someone clicks through the ads. These ads are contextual, meaning, they are generated through keywords and certain triggers. For example, a travel blog post with keywords related to, say, “traveling Asia” will display ads that are related to “traveling Asia”, and so on. While advertising is a great passive income stream for bloggers, take note that it relies heavily on website traffic. Unless your blog is already hitting 20,000 pageviews per month, display ads will not work for your blog. Aim to grow your content repository and website traffic first. Install Google Analytics so you can track your pageviews. Many creative bloggers have found great success with Mediavine, a popular advertising network for bloggers. But you have to be hitting 25,000 pageviews per month before you get accepted to their program. If you have creative skills or strengths that you can offer as a service, then this can be a good income stream for you. Some services bloggers offer are writing, photography, graphic design, website design, lettering, virtual assistance, coaching. If you just started blogging and your blog is not yet generating income, offering services is a good way to support your blog business. Back when I offered Web Design services, I used my blog to showcase my design work and my creative process. But I didn’t stray away from my usual stories about family, faith, and life too. The design posts showcased my skill, and the personal posts showcased my personality and values. Both types of content helped me gain freelance clients. But take note! Even though blogging is an effective tool to promote services, these services usually end up becoming a completely different business altogether. For bloggers who manage a handful of freelance projects, their blogs are just tools to promote, a means to an end. In other words, their main bread-and-butter is usually their freelance work, not their blogs. This also means that a bigger chunk of their day is spent on client work than actually blogging. It also means their clients become their pseudo-bosses, which essentially removes the creative freedom that full-time bloggers usually crave. This usually hampers the growth of a blog, and naturally, the blog takes the backseat when client work has to be prioritized. If your goal is to become a full-time blogger, spending all your days creating content for yourself while earning from your passive income streams, you’ll eventually want to ease out of a service-based approach. There’s still so much ground to cover, but these are a few more tips to get you going. 1. Don’t quit your day job. Yet. It normally takes about 3-6 months of consistent work before you start seeing part-time income from your blog. And it takes a year or two before your blog starts earning a full-time income. Unless you have other sources of income or a hefty trust fund, I recommend blogging your way to a realistic salary before going full-time. 2. Consistency is key. Showing up every day is key to setting your blog up for success. Especially if you’re just starting out, your goal is to build up your content repository and increase your traffic. Blog every day, if you can. Blog once a week, if that’s more realistic. The important thing is consistency. 3. Content is king. To state the obvious, content is the major currency of blogs. I would definitely focus on creating content in the first 3-6 months. If you ask me, I’d say, forget social media, forget email list building, just write good quality content in the first few months. You can always go back and optimize those posts later. 4. Don’t focus on making money. Instead, focus on your purpose, create content with a passion, and learn the trends. You find that profit naturally comes when you consistently put in the work. 5. Just start already. You don’t need to know everything before you can start blogging! There’s a low barrier to entry, you don’t need to be a degree holder, you don’t need years of experience, you don’t even need a big capital. If you wait until you’re ready, you’ll be waiting for the rest of your life. Start today.